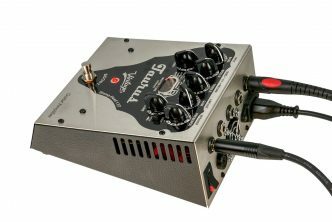 Compact Guitar Amplifier in stompbox shape – designed to install in pedalboard. 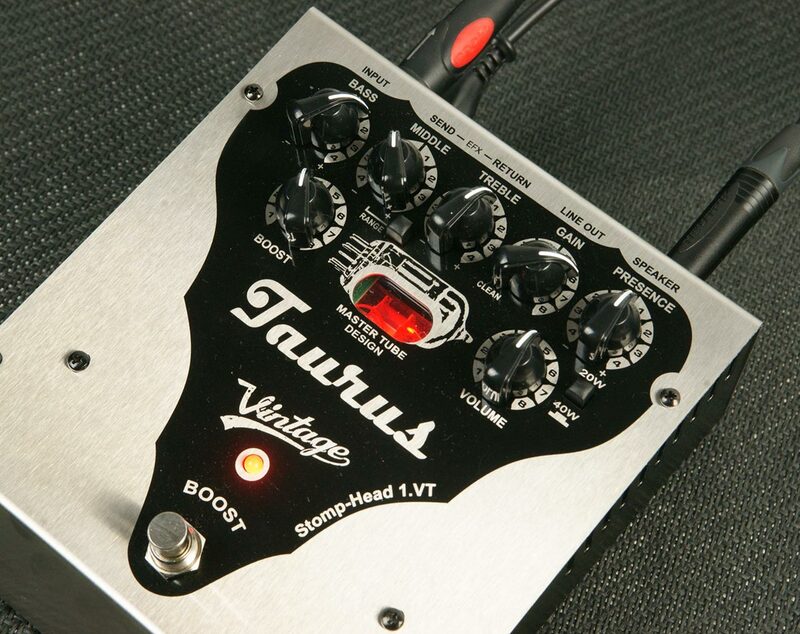 The Stomp-Head 1.VT is the newest, the youngest and the smallest member of Taurus’s floor amplifier family. 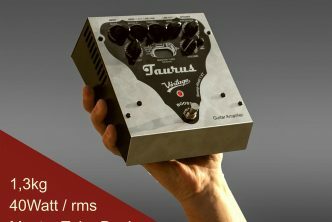 Its premier will happen at this year’s NAMM show in California. 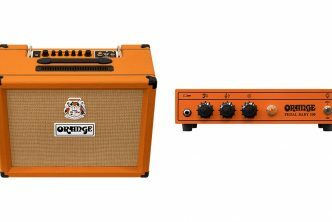 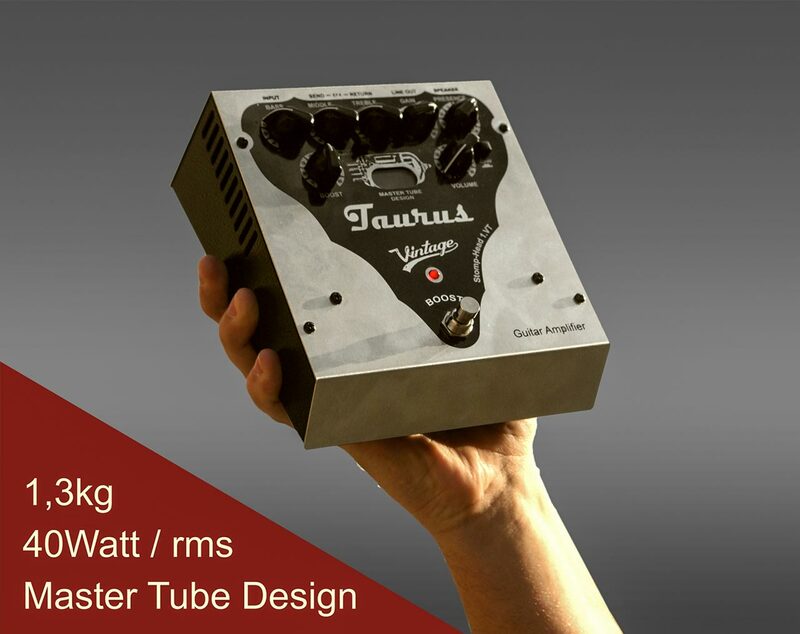 It is an amplifier with extremely small dimensions, technologically based on the Master Tube Design. 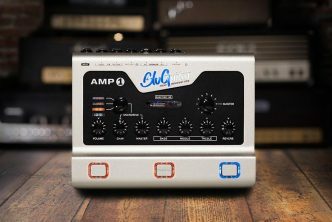 The amp is dedicated mainly to fans of “vintage” sound. 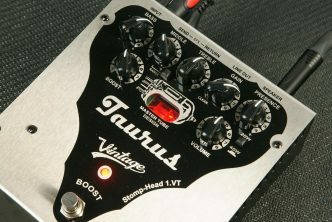 The Taurus Stomp-Head 1.VT features a classic, three point EQ ( BASS, MIDDLE, TREBLE), PRESENCE, GAIN, BOOST and VOLUME. 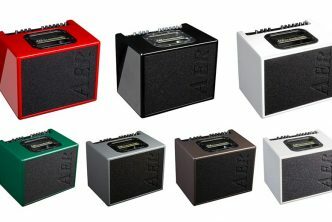 The amplifier is characterized by very smooth, warm sound with soft compression and long sustain. 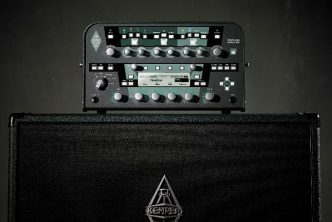 Connections between the amplifier and the effects are easy to make and shorter than old style conventional setups.